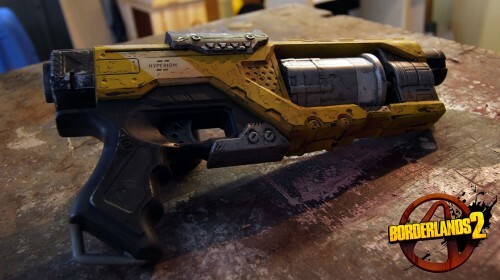 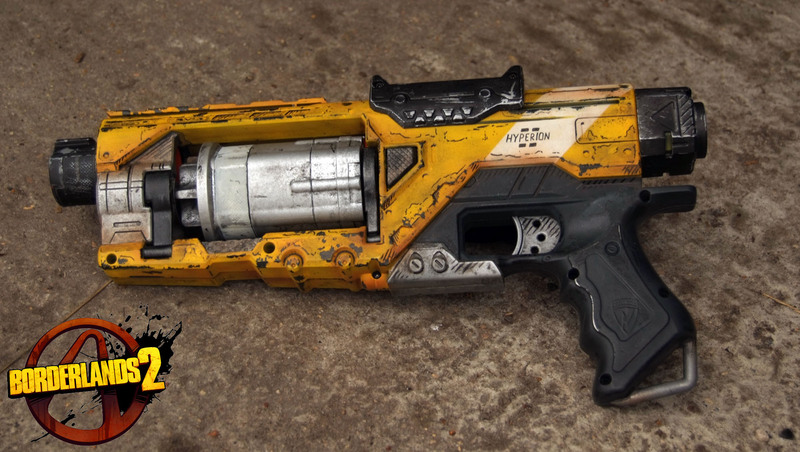 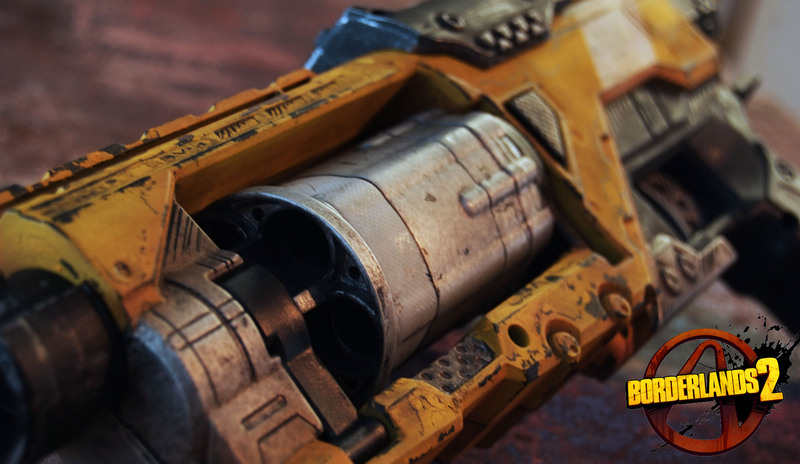 I really like the aesthetics of the weapons in Borderlands 2, so I started looking for a Nerf gun to paint like one. 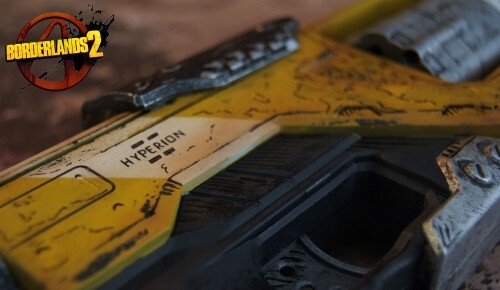 The Spectre’s straight, geometric lines fit nicely with the Hyperion guns. I used a lot of different airbrushing techniques on this one, as well as black pen to do the typical black lines.